Former Allied Irish Bank chief operating officer (COO) Anne Boden is aiming to change banking in the same way Amazon changed retail and Apple changed music, through the creation of a digital bank in 2015. Boden announced plans to launch a digital bank, known as Starling, at a UK banking association conference. She said the bank would be more like Google than traditional banks. According to the Irish Times, she told the conference: “The music industry has been transformed by iTunes, retailing by Amazon, but banking hasn’t changed its approach in a long time. However, Boden said things are changing as UK regulators have amended rules to enable new entrants to compete. “Finally, the technology behind all the best internet platforms can be brought to banking, allowing us to create a digital banking service that’s truly personal to each customer,” she said. 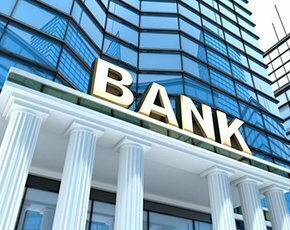 According to research from banking IT supplier Fiserv, four out of five UK consumers would trust challenger banks with their money if they had the right IT infrastructure. Researchers polled 2,000 people in the UK and found more than a quarter of consumers (26%) had experienced an IT issue with their bank. And of those, more than a fifth (22%) have switched away from that bank as a result. Internet giants like Google and Amazon have a role in banking and, although they will not offer banking services – such as accounts, loans and mortgages – they will disrupt the sector through other services that take consumers away from traditional banks, according to a recent report from Forrester. For example, Ireland’s central bank approved Facebook as an e-money institution, which will allow it to offer consumers the ability to store money and pay others.